One of the first questions when developing a CUBA application is: Where should I put my business logic? This guide will explain the options available and their pros and cons. 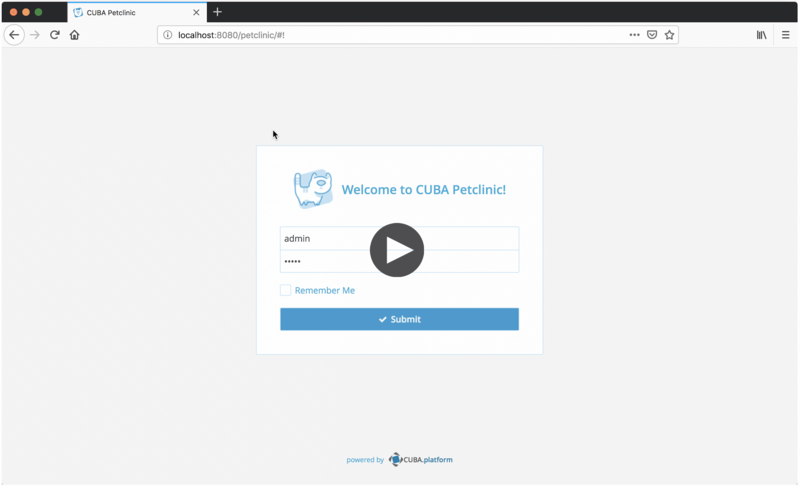 This guide enhances the CUBA petclinic example to show where business logic can be placed in a CUBA application. Mainly discounts are calculated for Pets based on the total amount of their visits in the Petclinic. 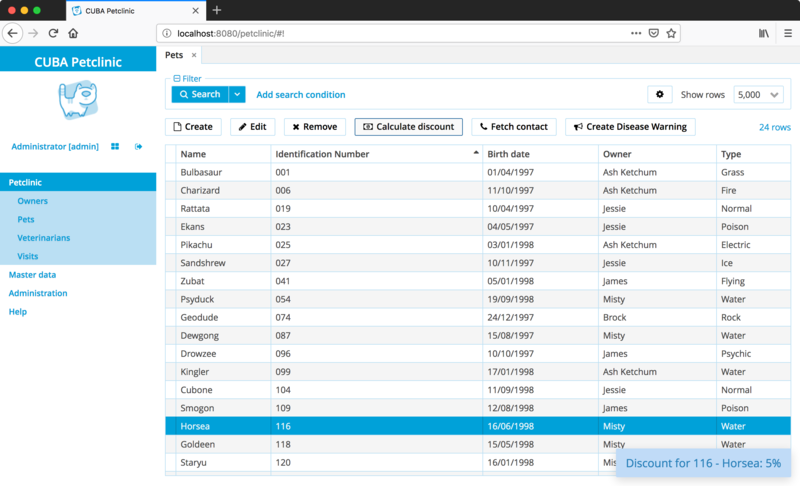 Assuming the discount calculation should be executed when a user clicks a button on the Pets’s browser screen, the most straightforward way to accomplish this is to put the calculation logic right in the associated controller class. 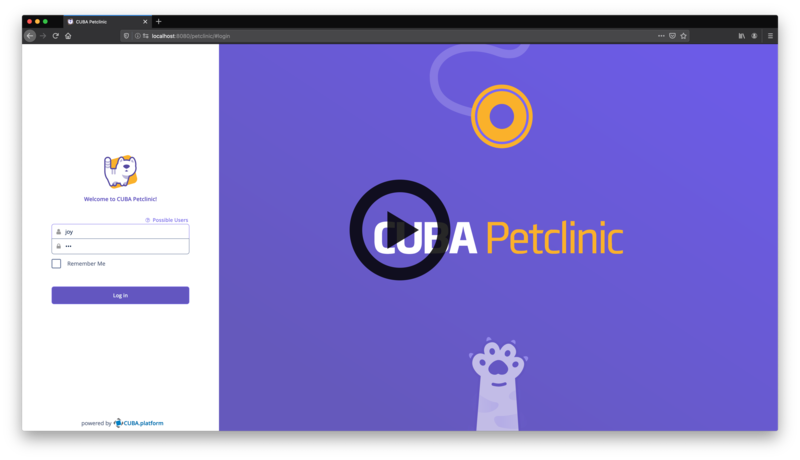 See the Calculate discount button in the petclinic application and the screen controller implementation: PetBrowse. This approach is acceptable if the logic is invoked from a single point and it is not too complex to fit into a couple of short methods. The in-controller solution works as long as the logic should only be executed within one screen. Once the calculation should be executed in multiple UI screens there is a better way not to duplicate the code. The logic can be extracted to a common place available for both controllers. This option is using a Spring bean in the client tier. A managed bean is a class annotated with @Component annotation. It can be injected via @Inject into other beans and screen controllers. If a bean has a separate interface, it can be accessed through the interface instead of the class. Please note that in order to be accessible for screen controllers, the bean must be located in global, gui or web modules of the application. In the former case the bean will be also accessible for the middleware. 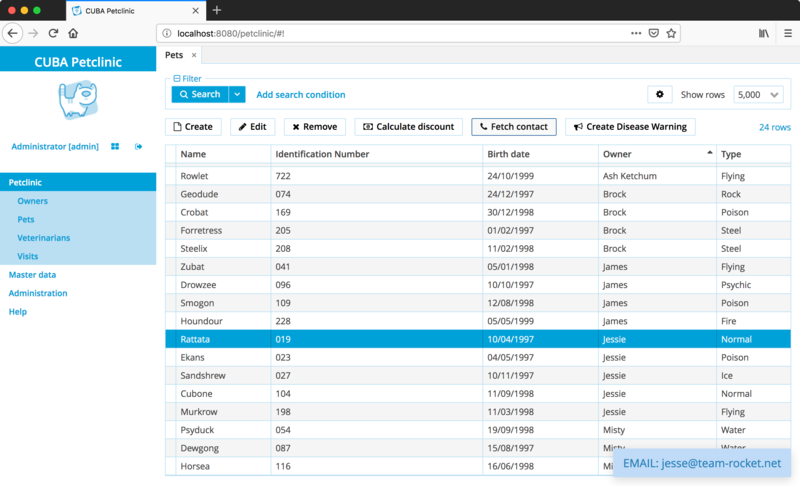 The example that is implemented as (multiple) client tier beans is to display the contact information of the pet’s owner directly from the pet browser or the pet details screen. The benefit compared to the first in-controller solution is that the code-reuse is higher. It is possible to use the logic in different places. PetContactDisplay is a bean in the web module, therefore it is only available within the client tier. PetContactFetcher, on the other hand, is a bean in the global module which means that it is also possible to use the logic in the middleware as well as the client tier. The business logic will be available for all types of clients including the Polymer UI. Select the Middleware section in the CUBA project tree and click New > Service in the context menu. Change the service interface name to DiseaseWarningMailingService. The bean class and service names will be changed accordingly. Click OK.
Open the service interface in the editor. Create a method and implement it in the service class. In the Petclinic application, the following service was created: DiseaseWarningMailingService. It sends out disease warning mailings to the potentially endangered pets' owners. 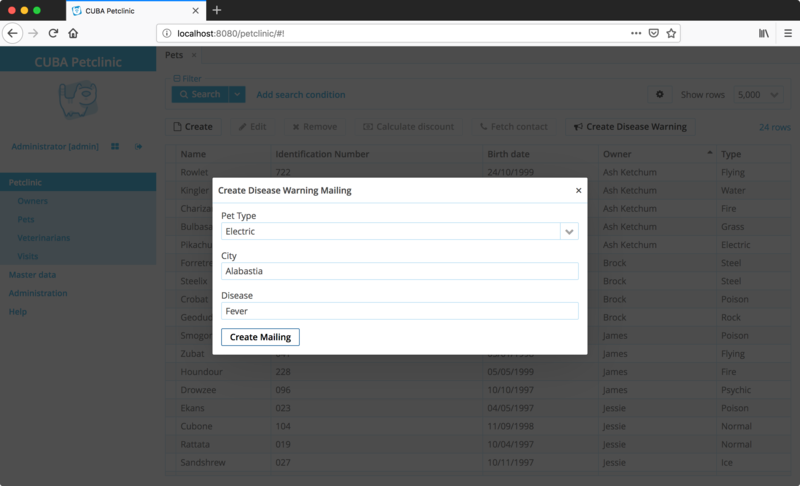 With that middleware service in place, the logic of creating disease warning mailings can now be shared across UI screens in the web tier. Additionally any other middleware code can execute the logic, since it is not tied to the web tier anymore. Furthermore, it is possible to trigger it via the REST API and with that to expose it also to other UI technologies like the Polymer UI. There are several options when it comes to where to put the business logic in a CUBA application. A controller can be a good and easy start, although it has some downsides when it comes to sharing the code. A client bean solves this problem to some degree. Middleware services allow for sharing business logic across different clients (e.g. Polymer Client) and is the most appropriate way of putting business logic. Additionally, there are several advanced techniques like JMX Beans or Entity Listeners that also allow for certain business logic to be executed in particular scenarios. The decision where to put the business logic for a given case should be done on a case to case basis. But the mentioned main places of Controllers & Spring Beans / Spring Services for placing business logic are a good starting point.